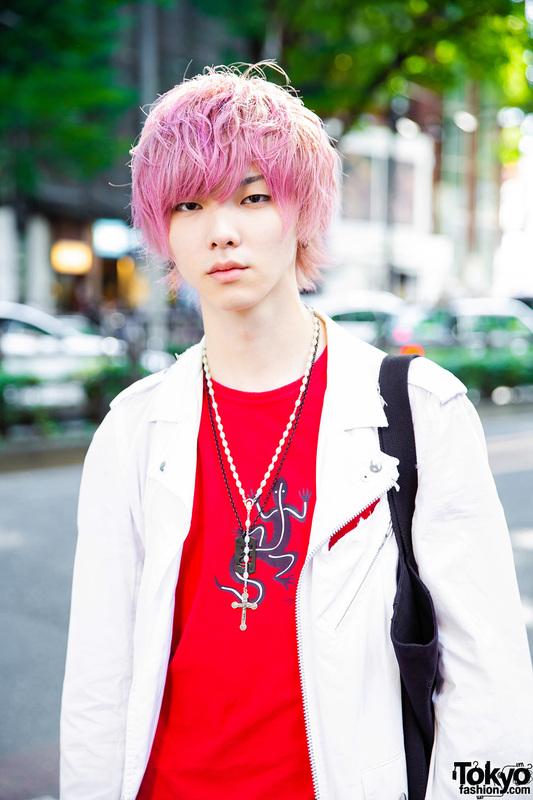 Here’s Tomoya, whose eye-catching pink hair and casual-cool street style made him stand out in Harajuku. 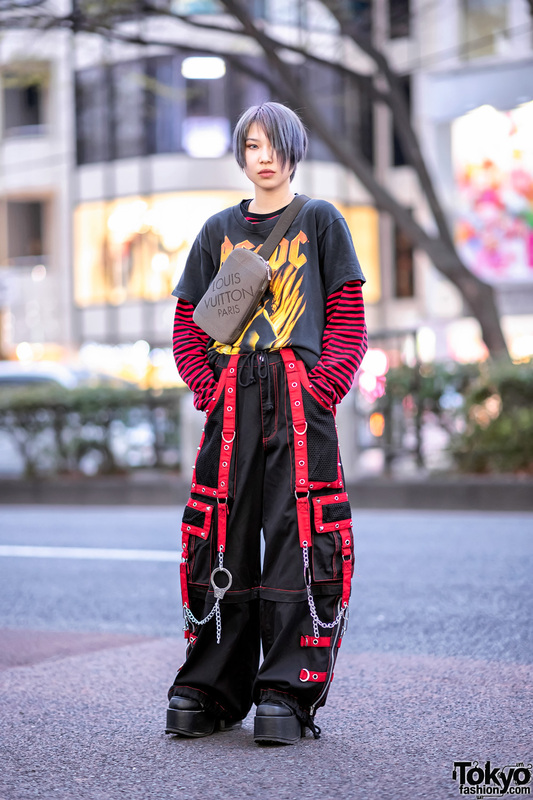 The 20-year-old student wore a white zip-up jacket from Comme des Garçons over a red graphic T-shirt from Agnes B. Tomoya added cool edge to his look with H&M black leather pants, printed socks, and Agnes B. lace-up shoes with white cracked leather. 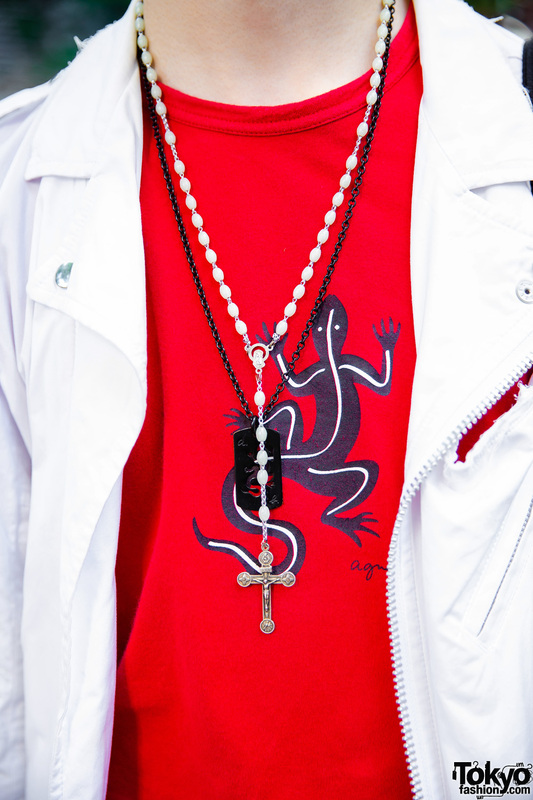 Strapped across one shoulder is a black tote bag from Agnes B. Shaggy pink hair, a black chain necklace, chunky silver rings, and a rosary necklace completed his look. 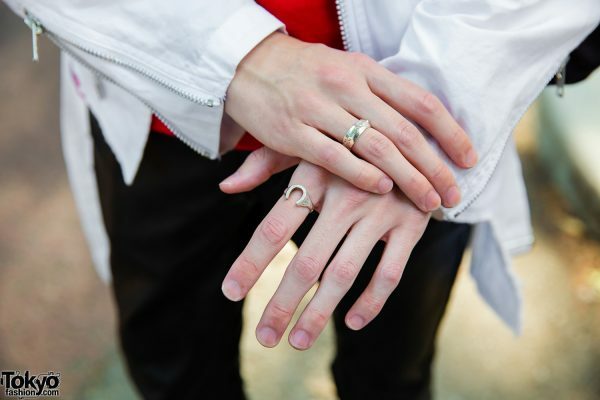 His accessories are from Jean Paul Gaultier. 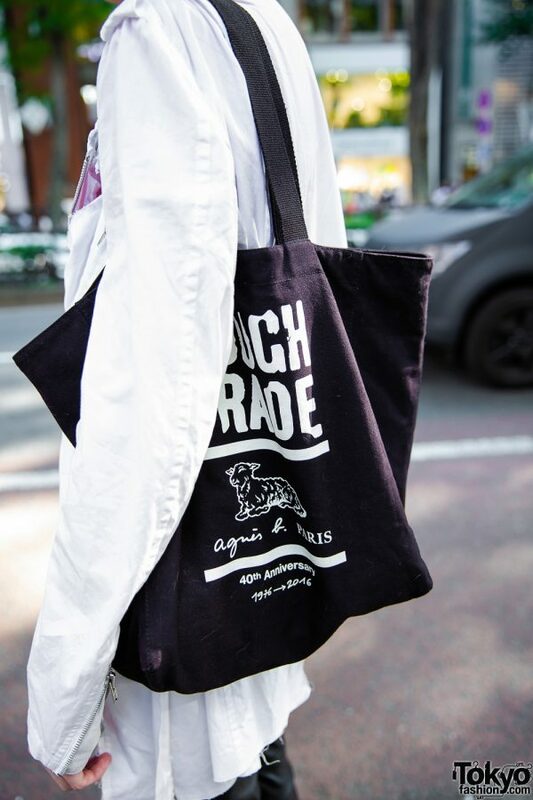 Tomoya’s favorite fashion brand is Agnes B., while his favorite musical artist is X Japan. For more on Tomoya, follow him on Instagram.